We sit down again at that table in the “gym” of Alcatraz. I, Jacopo, Bruno, Iacopo. It’s my turn to talk and I tell them everything from the beginning, from Daniela Poggi to the phone call with Manuela Soeiro, director of the Avenida Theater. 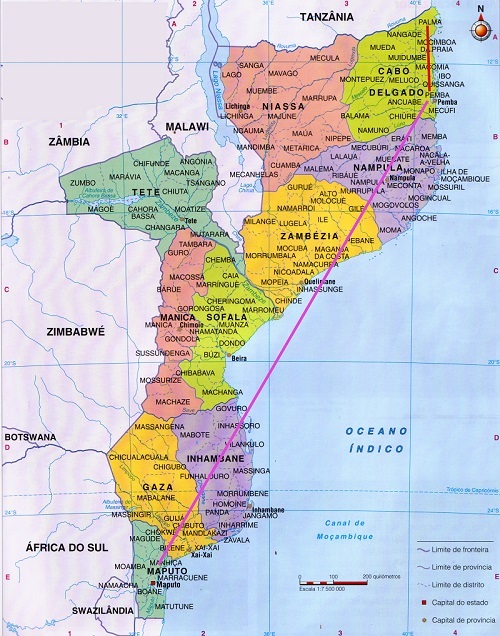 We have already made the appointment in Maputo, where we are going to meet the Machaka Association, and then the Luarte group. In addition to these, there are the meetings organized by Eni Foundation , one with Alvim Cossa of the Teatro do Oprimido, in Maputo again, and the other with Vitor Raposo in Pemba. Jacopo is pleased, we are all very satisfied. Our agenda does not end here: after these appointments we are going to move to the north of the country, to Palma. We have planned to visit 4 villages where we are going to meet the village chiefs and visit health centers. Where there are any.